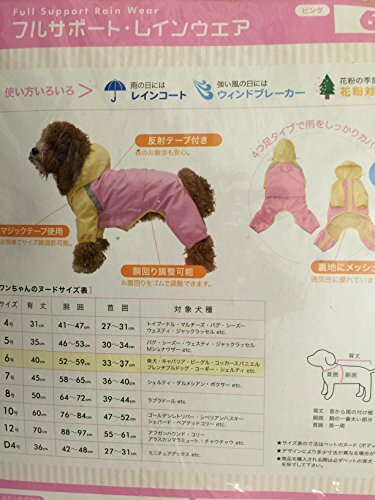 Buy Becik Asu ASUKU Pink and Yellow Dog Rain Coat with Hood – Size 6 for cocker spaniel, terriers, miniature pinscher at Discounted Prices ✓ FREE DELIVERY possible on eligible purchases. Elastic leg straps protect legs from the rain. This raincoat is 2 layers design. Outside waterproof material and Inside mesh fabric. Using professional outdoor clothing material. Sizes fit different Medium and large dogs (Please choose the size carefully before purchasing). Size 6: Neck 13"-14", Chest 20"-23", Back length 15".